The patient indicates location of pain by gripping the affected hip, just above the greater trochanter, between the abducted thumb and index finger. 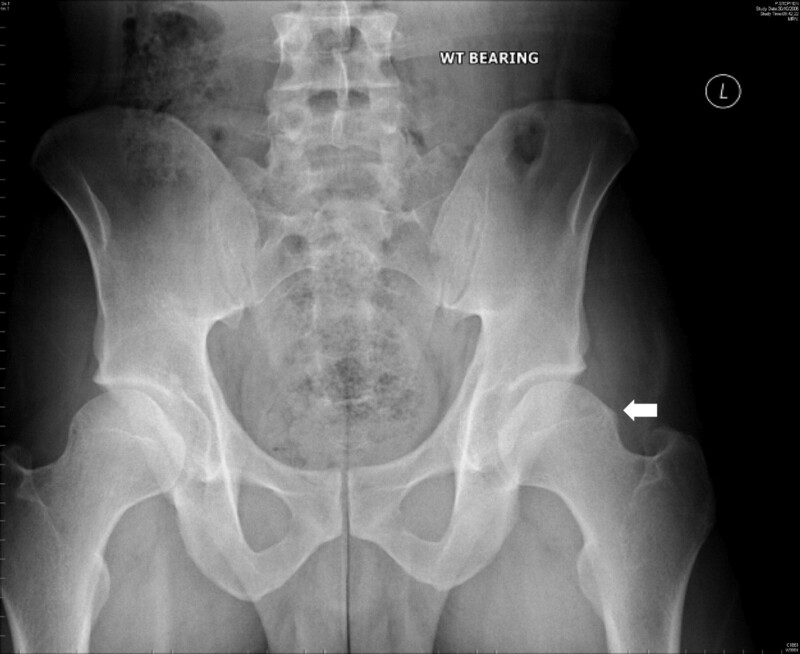 With patient supine, the hip and knee of the affected limb are flexed to 90°. The leg is then adducted and internally rotated in this position. Occurrence of sudden exacerbation of pain, typically in the groin, is considered a positive test. 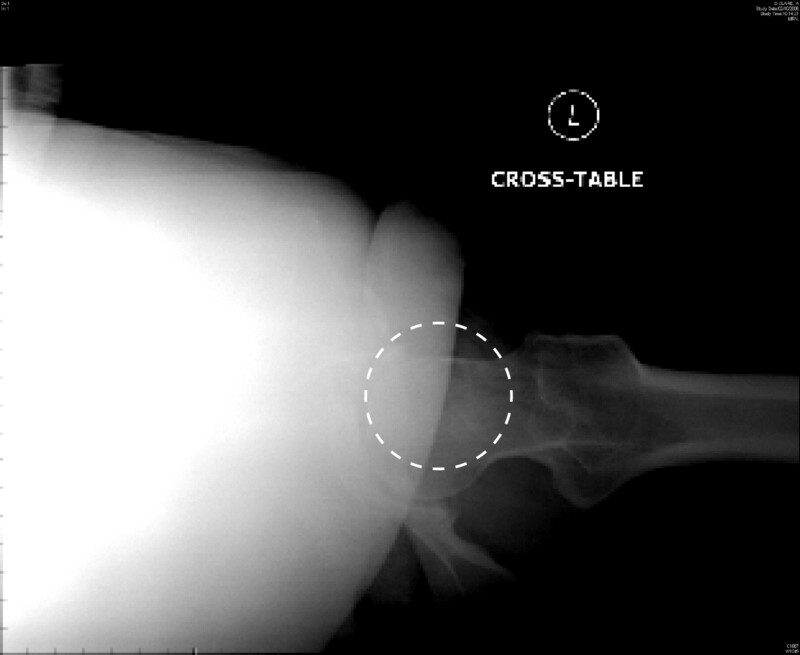 Note the presence of abnormal prominence at the junction of the femoral head and neck on the superior aspect of the left hip, creating an abnormal contour (arrow).